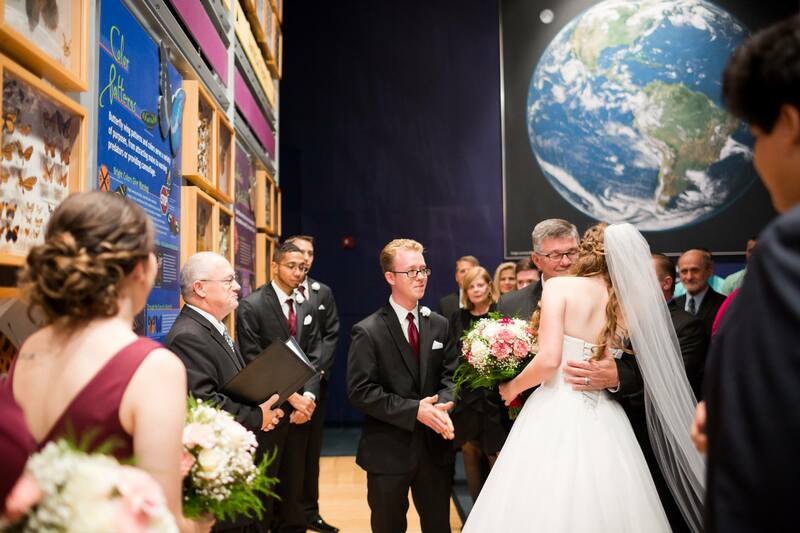 Katie and John had a gorgeous ceremony and reception here at the Florida Museum of Natural History. They were treated to amazing October weather for some outdoor photography before joining their guests in the Thompson Gallery for vows in front of a background of butterflies. Then family and friends followed them into the Denny Gallery for dinner and dancing. Browse the rest of Katie & John’s October 2017 wedding photos.